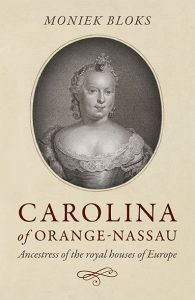 Sometimes history reads like a soap opera, and the Tour de Nesle affair would certainly fit right in. This royal scandal took place in the French royal family under King Philip IV. Philip had three sons, who all would eventually succeed him as King of France. His three sons had all made advantageous marriages. His eldest, Louis, the future Louis X, married Margaret of Burgundy. His second son Philip, the future Philip V, married Joan II, Countess of Burgundy. His third son Charles, the future Charles IV, married Blanche of Burgundy, the sister of Joan. Louis and Margaret had an unhappy marriage, though it did manage to produce at least one child, the future Joan II of Navarre, who was born in 1312. Philip and Joan had perhaps the happiest marriage of them all. They had five children in five years, though their only son would die young. Charles and Blanche had two children in quick succession, but both would die young. Philip IV also had a daughter, Isabella, who married Edward II of England, who she eventually deposed in favour of her son, Edward III. The affair apparently begins with Isabella. She had given her sisters-in-law new embroidered purses during a visit to France with her husband. She later noticed that those purses were being carried by Norman knights and she thought an affair must have been going on. She informed her father of this during her next visit to France. The Knights were put under surveillance, and it is thought that they had been engaging in adultery with Blanche of Burgundy and Margaret of Burgundy in the Tour de Nesle over a certain period. 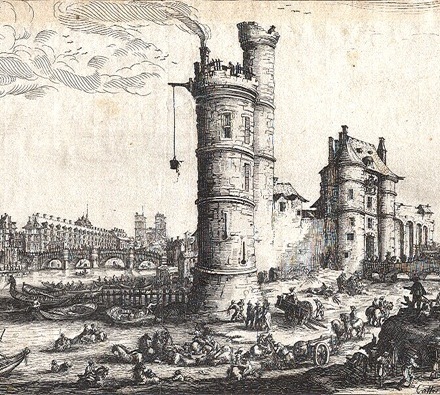 The Tour de Nesle was a guard tower of the old city wall of Paris, which had been bought by Philip IV. Joan was said to have been present. Whether or not the story is true, we’ll probably never know. However, all three women and the knights were arrested. The Knights were interrogated and tortured and naturally confessed after the torture. They were later executed. Blanche and Margaret were tried before Parliament and also conveniently found guilty. They were forced to undergo the shaving of their heads and were both sentenced to life imprisonment. Joan was also tried, but her husband Philip intervened on her behalf, and she was found not guilty. Margaret and Blanche were sent to Chateau Gaillard, where they imprisoned underground. Blanche was probably pregnant with a son named Philip at the time. Margaret died after two years of cold. 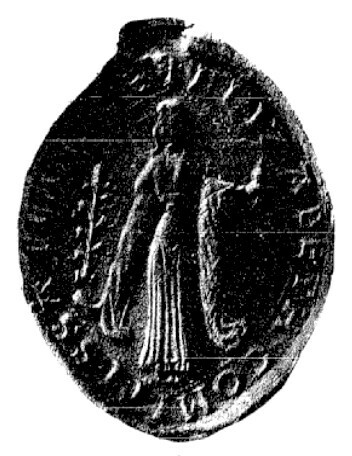 Blanche’s marriage was annulled 1322 to give her husband Charles, who had recently become King, a chance to remarry. Blanche was not released but sent to Gavray Castle. She was in very poor health after spending eight years underground. We don’t know exactly when she died, but it was probably around 1328. Both Chateau Gaillard and Gavray Castle are now in ruins. 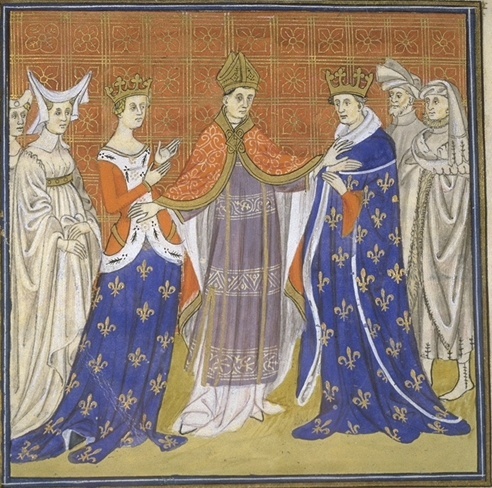 All three women became Queen of France, though not all could enjoy the privilege. 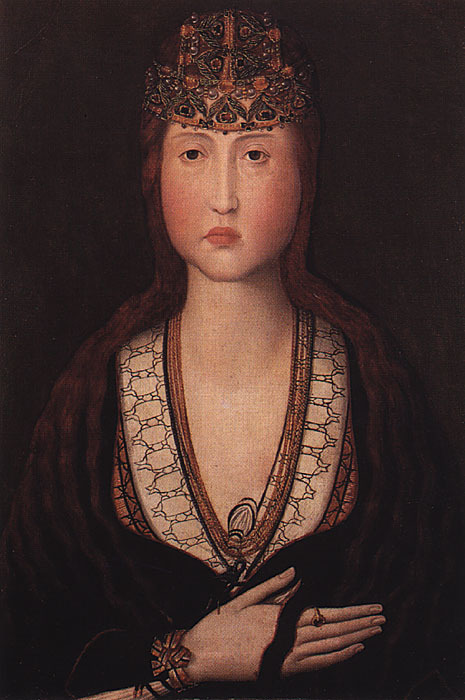 Joan lived the longest and was also Countess of Burgundy in her own right. Her titles would be inherited by her daughters. Margaret’s daughter Joan later became Queen of Navarre in her own right, and her husband Louis had a posthumous son John with Clementia of Hungary, who became king at birth but he lived for only five days. Blanche’s husband Charles remarried twice, first to Marie of Luxembourg, who died in childbirth and secondly Jeanne of d’Evreux with whom he had three daughters. Philip IV’s daughter Isabella would later try to claim the kingdom of France for her son leading to the Hundred Years’ War.